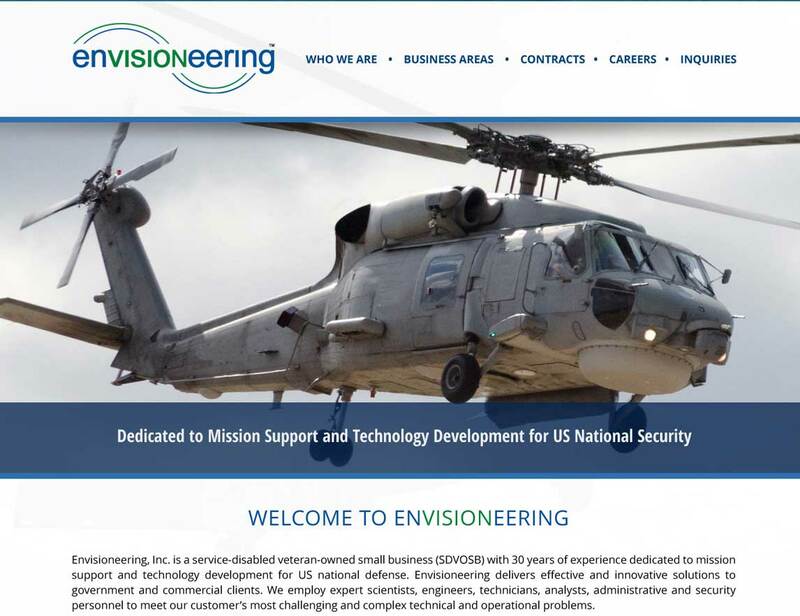 Website Design Government Consultants Hampton Roads | Another outstanding website design by VISIONEFX. We start with preliminary concepts for your homepage design. After the final designs are ready to go, you may review the website development over a live IP address as if your website is live. This recent web design for consultants project for Envision provides a competitive branded website presence in a highly competitive space. Click the ‘View Our Design Process‘ link below and browse the creative concepts we develop before building you that perfect website design that is tailored to your business brand. VISIONEFX has great Google Reviews from verified customers posted on ‘Google My Business pages’. We invite you to read our reviews and contact our website customers. They will tell you our web design and web maintenance services are second to none. Many of our website clients have been with nearly two decades. This speaks to our desire to be your long term online partner, vested in your success. Call VISONEFX at (757) 619-6456 or email direct to info@visionefx.net.